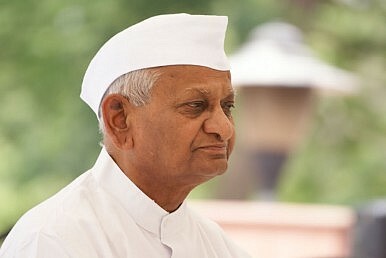 Activist Anna Hazare, armed with the results of a new survey, is planning a new nationwide agitation. Social activist Anna Hazare is reportedly about to unveil a nationwide shock-and-awe agitation program over the issue of the Lokpal (Ombudsman) Bill issue. Indications to this effect were offered by his top aide, Arvind Kejriwal, on May 12 as he was announcing the results of a new survey conducted by India Against Corruption (IAC), the NGO under whose banner Hazare has been crusading for a strong Lokpal Bill for the past 13 months. The survey showed an overwhelming majority of respondents believed that neither the parliament nor the union cabinet of the United Progressive Alliance (UPA) government is interested in passing the legislation. The IAC's survey of a total of 6,948 people across the country answered four questions put by the NGO. Kejriwal also warned corrupt politicians of all political stripes to be prepared for a massive agitation by Team Anna on the issue. 1) Parliament has 162 MPs with criminal backgrounds. Out of 4,200 MLAs in the country, 1,170 have criminal backgrounds. In addition, there are several with serious corruption charges. Do you think such MPs and such MLAs will ever pass a Jan Lokpal Bill? 2) Out of 34 central cabinet ministers, 16 have serious corruption charges against them. Do you think such a cabinet will ever pass a Jan Lokpal Bill? 3) Do you agree that only if people with a clean image come to parliament and assemblies, a Jan Lokpal Bill will be passed? In response to the first two questions, 96 percent of respondents replied in the negative, while 93 percent responded affirmatively to the third question and 82 percent said “yes” to the fourth question. Kejriwal said in a statement that it had been amply demonstrated once again that the people of India no longer had faith in their elected representatives in parliament and state assemblies that they would ensure the passage of legislation concerning Team Anna's Lokpal Bill. Kejriwal said that Team Anna wouldn't be a silent spectator to legislators' apathy on the issue and was holding discussions to launch such a huge agitation that corrupt leaders of all parties would be left reeling. He said the government had to be given a clear message to make it aware who is the servant and who is the master. This latest development suggests Team Anna may be down, but it's certainly not yet out. Hazare and his associates are apparently keeping their powder dry for a decisive push on the Lokpal issue at a time when UPA allies like Mamata Banerjee of the Trinamool Congress have appealed to their electoral base to prepare for the next general election, which may well be held a year before it's due in May 2014.